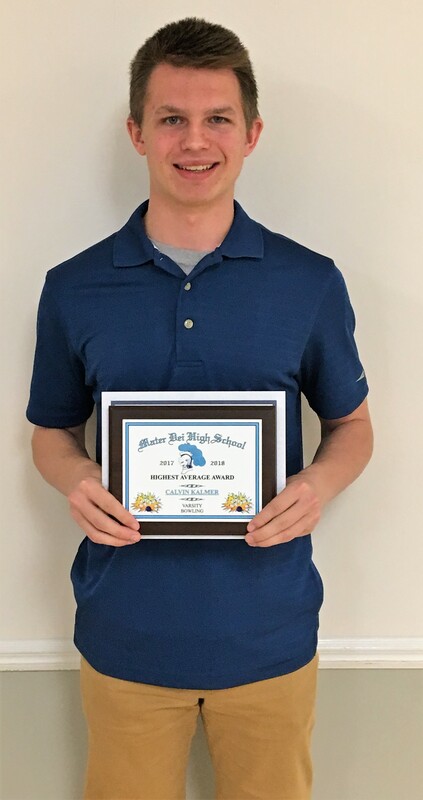 We thank our student-athletes, as well as their families, for their dedication to our winter athletic programs. We also congratulate those athletes who earned special recognition. 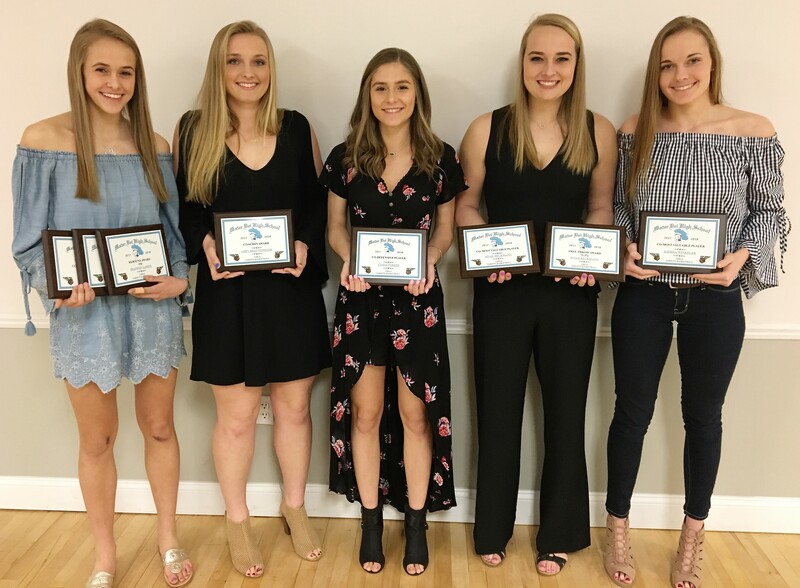 We are MD proud! 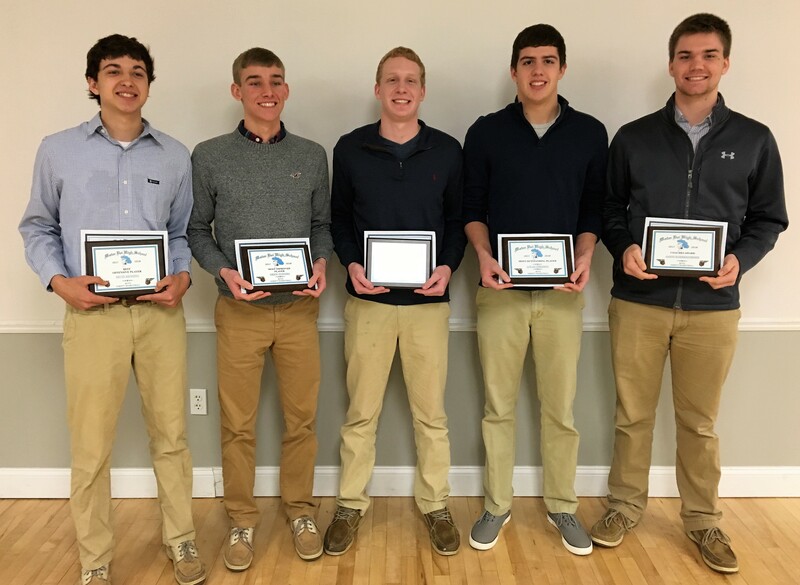 Pictured at the winter athletic banquet are boys basketball award recipients (from left) Devin Rensing – Best Offensive Player, Drew Tonnies – Most Improved Player, Blake Gebke – Best Defensive Player, Lucas Theising – Most Outstanding Player, and Jason Koerkenmeier – Coaches Award. Pictured at the winter athletic banquet are girls basketball award recipients (from left) Shannon Lampe – Co-Defensive Player, Rebound Award, and Assist Award; Abby Braundmeier – Coaches Award; Ciara Perkes – Co-Defensive Player; Myah Beckmann – Co-Most Valuable Player and Free Throw Award; and Kierra Winkeler – Co-Most Valuable Player. 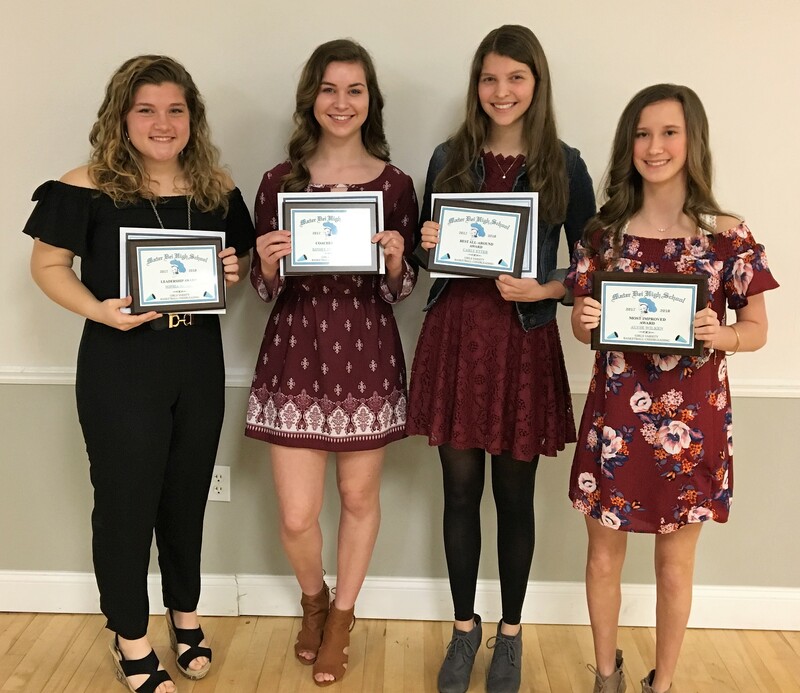 Pictured at the winter athletic banquet are cheerleading award recipients (from left) Sophia Mondt – Leadership Award, Kinsey Stockmann – Coaches Award, Carly Etter – Best All-Around Award, and Alyse Wilken – Most Improved Award. 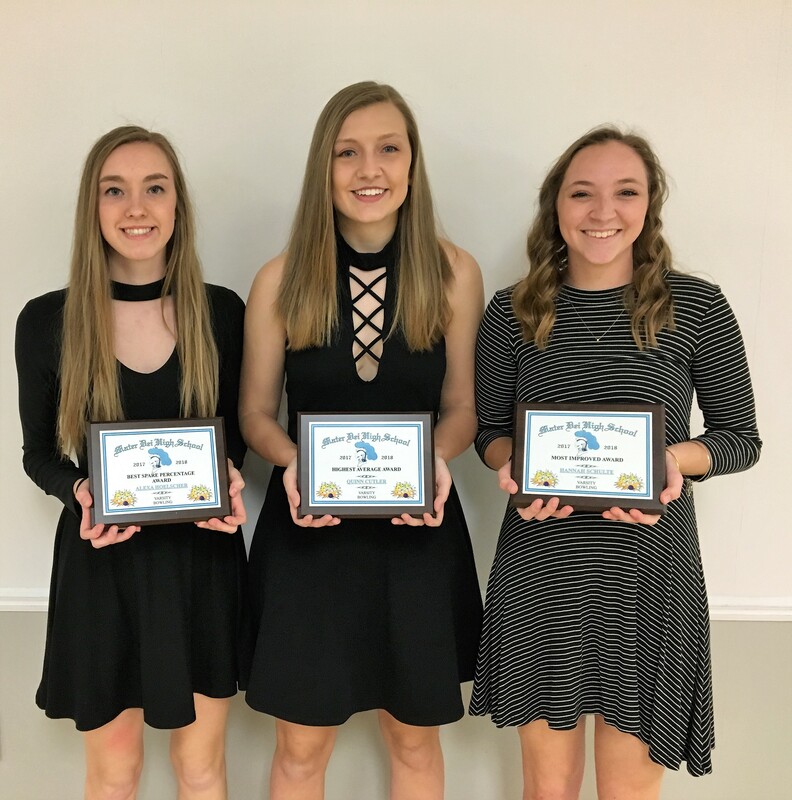 Pictured at the winter athletic banquet are girls bowling award recipients (from left) Alexa Hoelscher – Best Spare Percentage Award, Quinn Cutler – Highest Average Award, and Hannah Schulte – Most Improved Award.